Here is another riddle from one of the less action driven levels. Any clue how it works? No, it is just that you have to release pushing the bars at exact moments they reache green, isn't it?? Yes and i will add a counter for the whole sequence. Oh this is beautiful! You too, have a nice weekend! Love the progress, keep it up! Just out of curiosity how big is this game? By big you mean how long it will take to play through? I guess a couple of hours. While i was sleeping...wow never had numer 11 on IndieDB..Wohooooooo! 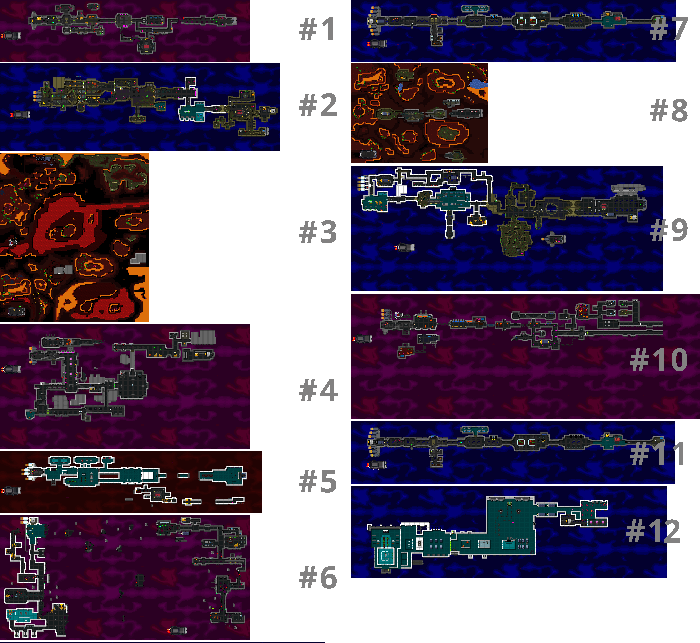 Those maps look really cool zoomed out (especially #3). Progress is looking great!